Our Jamaican villas are unmatched in beauty & serenity, the epitome of exotic euphoria. 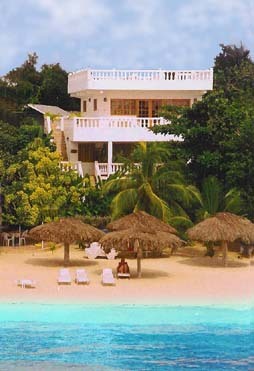 These luxuriant Negril villas occupy the heart of Negril's world famous 7 Mile beach. Enchanting sunset views, native hospitality, and plush furnished quarters of Beach House Jamaica villas are second to none. Like each deluxe Jamaica villa, we reside directly on Negril's prized white ivory beaches & glistening aqua waters. 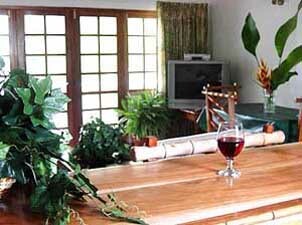 Beach House Jamaica villas are highly regarded for superior service & spectacular views. Experience breathtaking sunsets painted with glorious bursts of color. Like each original sunset, every Beach House Jamaica villa is a unique masterpiece. These Jamaica villas are designed in different tropical themes. 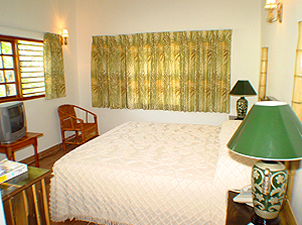 You have a choice of Reef House Villa, Jungle House Villa, Beach House Villa, Ocean Suite, Sun Suite or our Garden House Apartments & Studios. The villas are dividable…take a one, two, three, or four+ bedroom villa or multiple villas. Water sports are located right on the beach and shopping/crafts markets are a five-minute walk. Besides the beach and water sports, there are the spectacular West End Cliffs, horseback riding, golf, hiking, mountain springs and caves, reggae shows and waterfalls. Our villas and suites all feature French doors leading to patios or decks. A/C, ceiling fans. Cable TV, In room DSL Internet connection, telephones, in-room safes. Tile floors and baths. The villas are available with options such as full kitchens or kitchenettes. Dining/living room, and Queen size futon couch/beds. 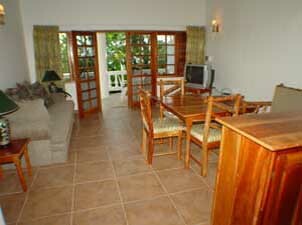 All kitchens are fully stocked with refrigerator, oven, microwave, blender, coffee maker and dishes.